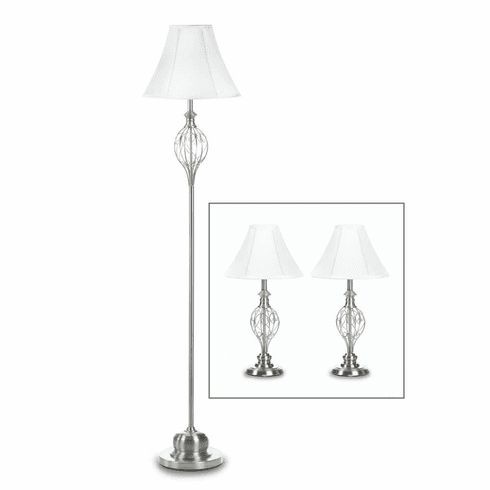 You can triple the amount of beauty in your room simply by adding this three-piece lamp set! You'll love the intricate scrollwork design of the two table lamps and tall floor lamp, all in high-polish silver iron with fabric shades. You can use them all together in one space or spread them out around your home for illuminating style. Weight 9 pounds. 14" x 14" x 61.8". Iron, Fabric Shade. UPC Number: 849179032135.